Don’t ever think for a second that what you see before you is your typical modified S2000 with minimal bolt on parts and some exterior eye candy. John Nguyen is a true car enthusiast that immerses himself in his passion for building cars. 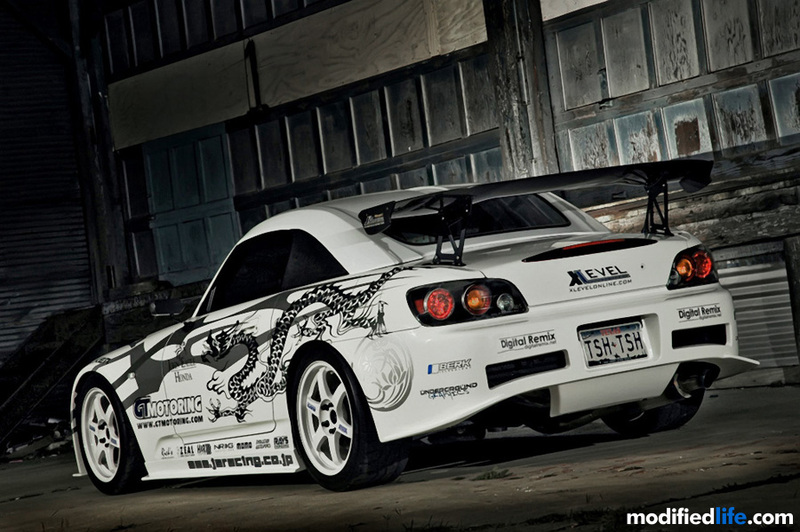 He morphed his stock 2006 Honda S2000 from a popular American sold roadster into a Japanese masterpiece. If you’re not quite sure what that means, get focused cause you’re about to be schooled in the art of JDM. With plenty of knowledge of what to do and what not to do, John decided to turn his third S2000 (yes, third) into something that no one else had, a J’s Racing S2000. 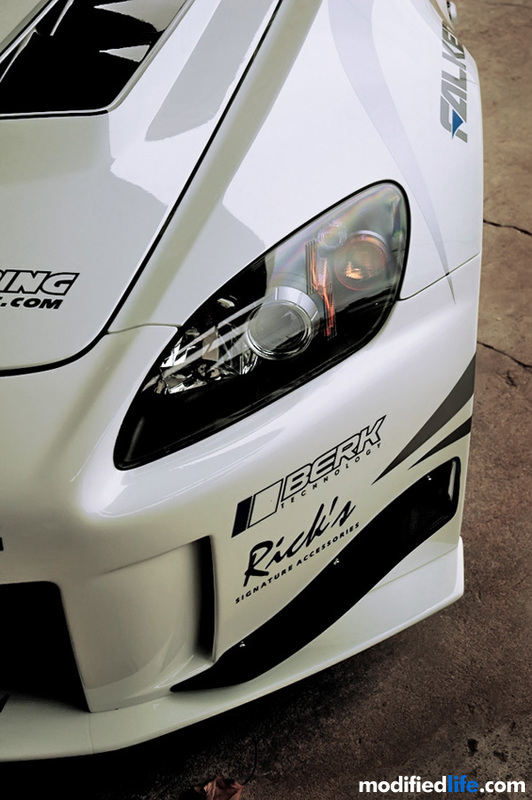 He started by overhauling the entire exterior of the S2000 with a J’s Racing Type S Full Aero Kit, a J’s Racing Type S Carbon Fiber Hood and J’s Racing Replica Decals. 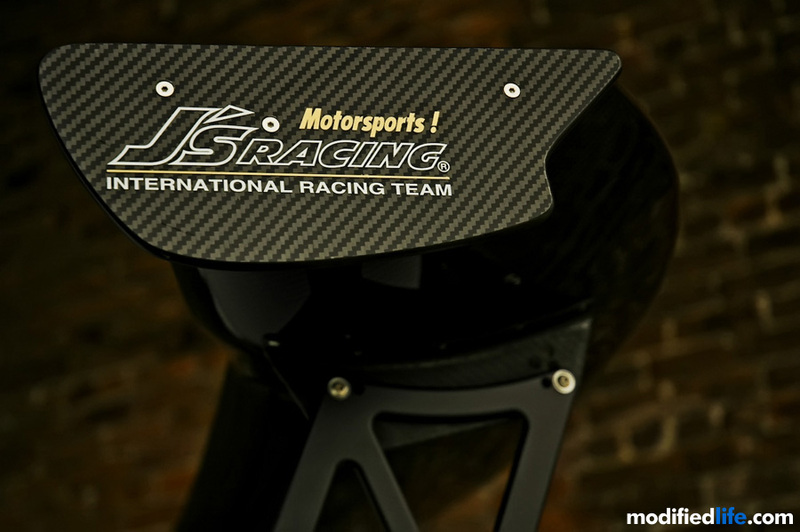 To enhance maximum down force and high speed stability, John added a J’s Racing Carbon Type-1 3D GT Wing and J’s Racing Carbon Fiber Canards. He then opted for a Seibon MG Style Carbon Fiber Hard Top in place of his standard OEM roof to reduce unnecessary weight and create a lower center of gravity. The addition of a Shaved Trunk Lid, Craftsquare Carbon Fiber Mirrors, Ricks2k.com Side Markers, a Ricks2k.com Extended Wind Diffuser and a GT Motoring Front Tow Hook made sure that nobody could refer to his exterior as “stock”. 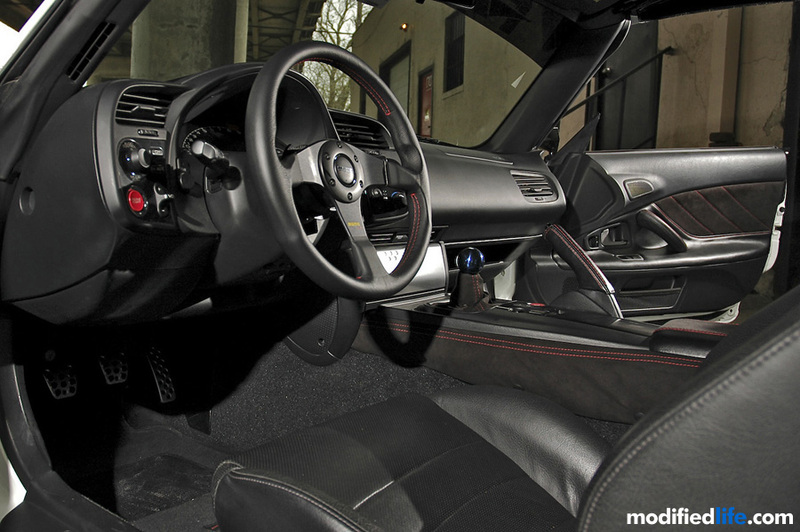 With future plans to track his S2000, careful thought was put into creating an interior that would be functional yet just as unique as the exterior. John started by bolting in a set of black Bride Pro Racing Seats with red stitching and a set of Takata Harnesses to keep him in place during aggressive cornering. A Cusco 4-Point Cage was also put in to increase safety and rigidity of the chassis. The factory controls have been upgraded with a MOMO Tuner Steering Wheel attached to a NRG Quick Release with Short Hub and shifting of the six speed manual transmission is done in style with a J’s Racing Titanium Shift Knob. 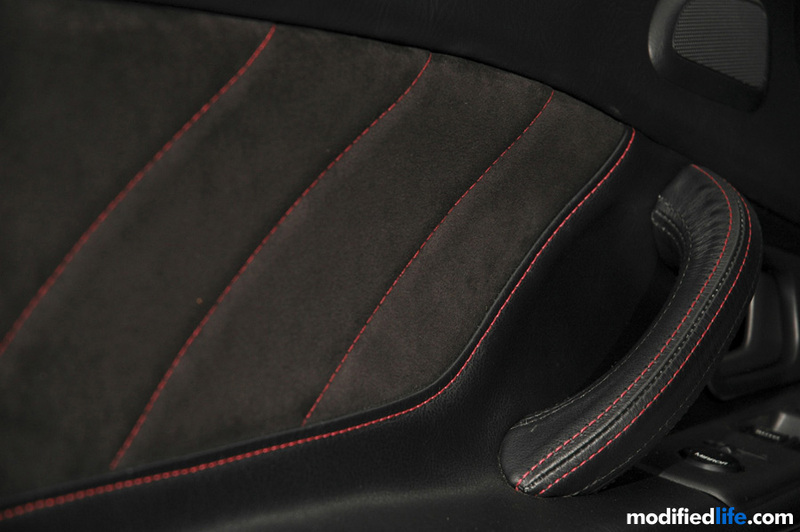 To bring all of his interior elements together, the cockpit was adorned with a JPM Elbow Pad, a JPM Center Console, a JPM E-Brake Handle, JPM Door Handles and JPM Door Panels, all wrapped in luxurious black alcantara and leather. Last but definitely not least, John added Muz Floor Mats, a Muz Trunk Mat and a Modifry Glove Box Organizer to clean his work of art immaculate. 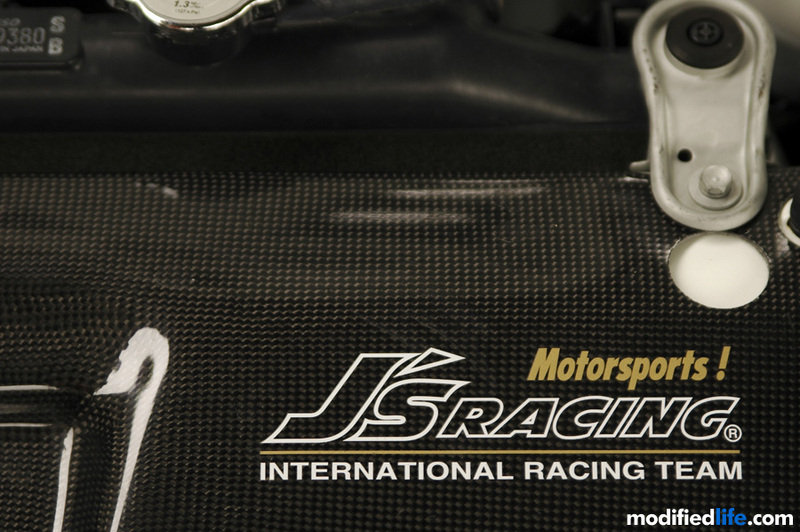 The legendary 2.2 liter engine is fed by a J’s Racing Tsuchinoko Carbon Intake System which reduces intake air temperatures, restores low rpm torque and increases mid rpm engine response. Exhaust gases are expelled by a Berk Technology Header, Berk Technology Test Pipe and a J’s Racing Circuit 70RS Titanium Exhaust System. 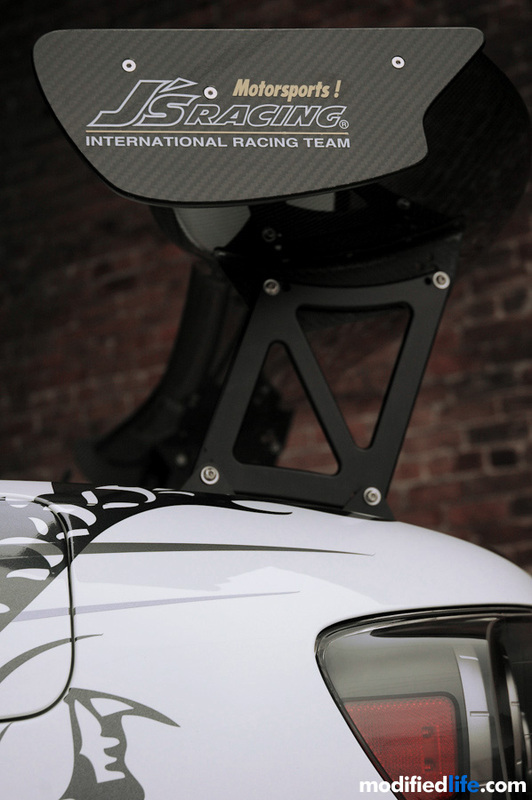 The combination of parts allows the AP2 platform to lose over 50 pounds of unnecessary weight, increase mid-speed engine response, increase mid-speed acceleration and increase exhaust gas velocity for maximum power production. Feeling that he could squeeze out more horsepower from the potent S2000 engine, John boosted power output by the addition of a Hondata Intake Manifold Gasket and a Hondata ECU Flash. With all the increases in power production, John realized the need to raise the efficiency of the S2000’s cooling system. 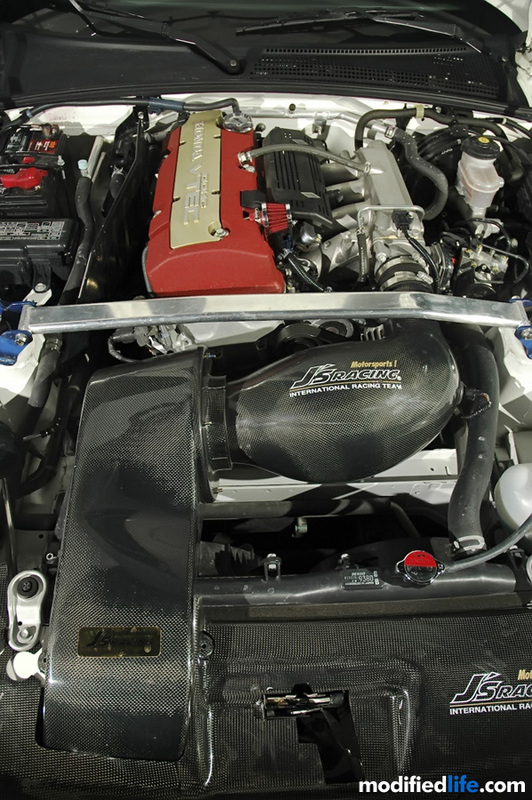 He installed a J’s Racing Carbon Fiber Cooling Plate to direct more airflow to the radiator and a J’s Racing High Pressure Radiator Cap which improves cooling efficiency by 22% or higher. With his engine hitting revs upwards of 9,000 rpm, John installed a J’s Racing SPL Baffle Oil Pan, a J’s Racing Oil Catch Can and a Hamp Oil Filter to keep his engine running as clean as possible. Yes, even the oil filter is JDM. The engine bay and powertrain were subtly finished with a J’s Racing Oil Cap, a J’s Racing Magnetic Differential Housing Plug, a J’s Racing Magnetic Oil Pan Plug and NRG Hood Dampers. It’s hard to improve on the S2000’s handling capabilities but John knew future closed course racing events would require a suspension and brake upgrade that’s more track worthy. John swapped the stock suspension for a set of Zeal S6 Full Aluminum Coilovers to fill the need for quick height and damping adjustments. A J’s Racing Front Strut Tower Bar and a Cusco Type II Front Lower 3-Point Tie Bar were bolted on to tighten the front end and increase steering response. John then installed a J’s Racing Rear Strut Bar to increase the rigidity of the rear end during mid to high speed cornering and a set of H&R 10mm Spacers with Extended Studs to widen his S2000’s already menacing stance. The addition of Spoon calipers and J’s Racing Stainless steel brake lines will allow John to stop faster and later than his track competition. When it came to choosing a set of JDM wheels from the other side of the Pacific, John decided to have his cake and eat it too by purchasing two sets of Volk Racing wheels. 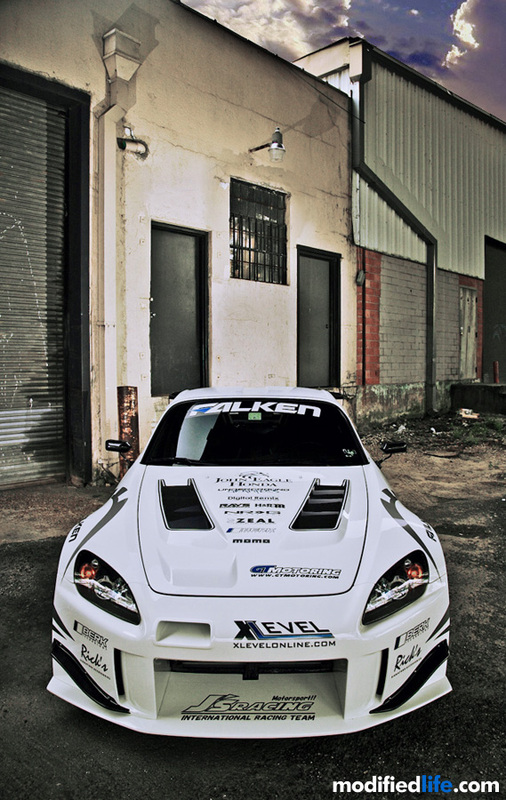 His street setup came in the form of White Volk Racing TE37’s with custom offsets wrapped in Falken RT-615 tires. 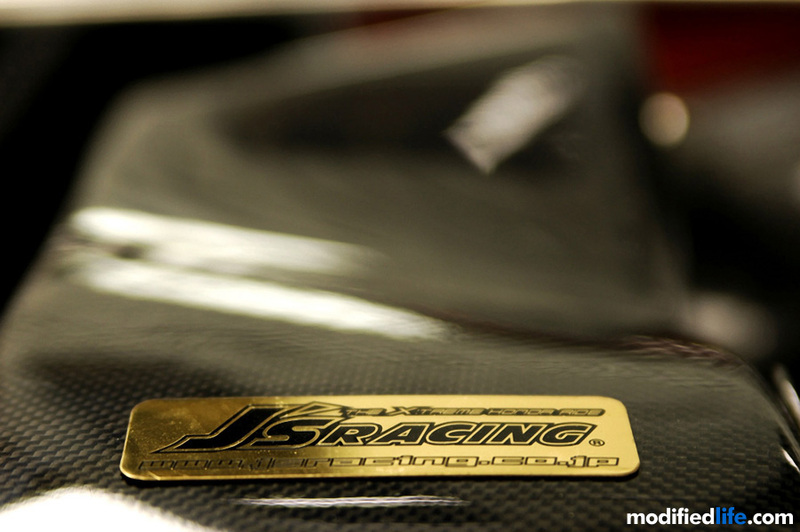 For use on the track and to pay homage to the J’s Racing Time Attack S2000, John chose a set of Gold Volk Racing CE28N wheels also wrapped in Falken RT-615 tires. Both sets of wheels are mounted to his S2000 via Rays Engineering Light Weight Lug Nuts. By now, you should have a clear understanding of what JDM is. For those of you that didn’t take notes and still don’t quite comprehend what it means, let us explain. JDM is not just having parts from Japan on your car but more a lifestyle, a feeling, a way of thinking and bringing all those elements together. You can give anyone an infinite amount of money to build a car but only a few people would be able to pull it off the way John has. Modified Life: What cars did you previously drive? John Nguyen: 2006 Honda Ridgeline, 2005 Infiniti G35 and 2001 Honda S2000. 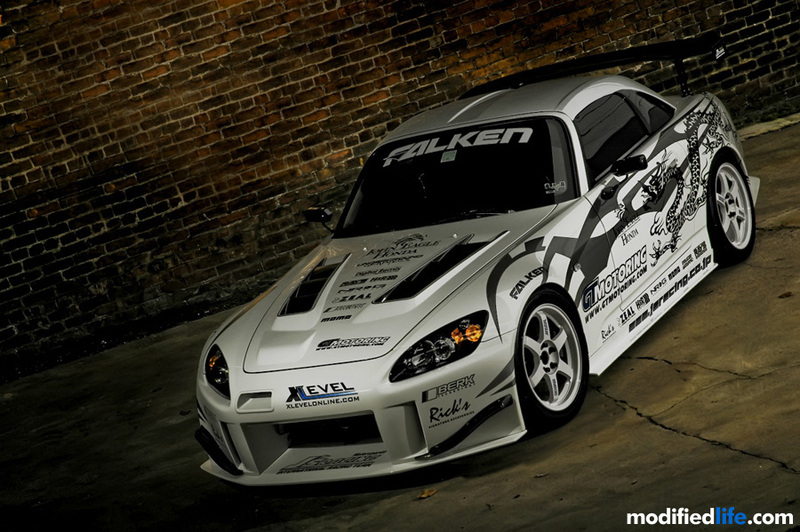 Modified Life: Why did you choose the S2000 as your platform? John Nguyen: The S2000 is a classic design that ages well and performs well. Legendary cars like the Acura NSX have had very minor changes or updates throughout the years because the design was simple, elegant, and timeless, just like the Honda S2000. 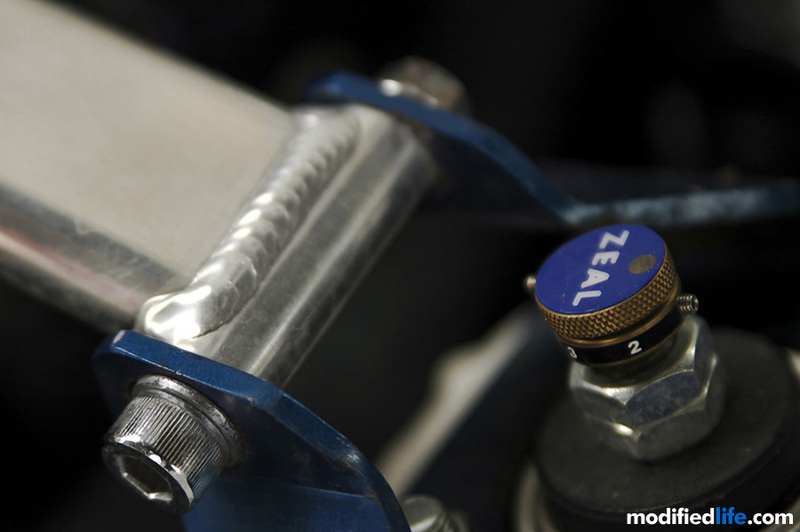 Modified Life: Did you have a plan when building your S2000 or did you just modify on the fly? John Nguyen: The plan for the current S2000 was NOT to modify it but to keep as a weekend and nice weather car. This being my 3rd S2000, I’ve had plenty of experience in modding S2000’s and I feel this one is good enough to share with other true car enthusiasts. Modified Life: What difficulty, if any, did you have building your S2000? John Nguyen: Honda made minor changes to the 2006 model so it was hard to find parts that fit properly. Changes like the drive by wire system, different exhaust channel from previous S2000 models, different seat rails on the passenger side, etc. Modified Life: Do you feel you achieved the look and feel you wanted? John Nguyen: The look and feel I wanted was completely reached. 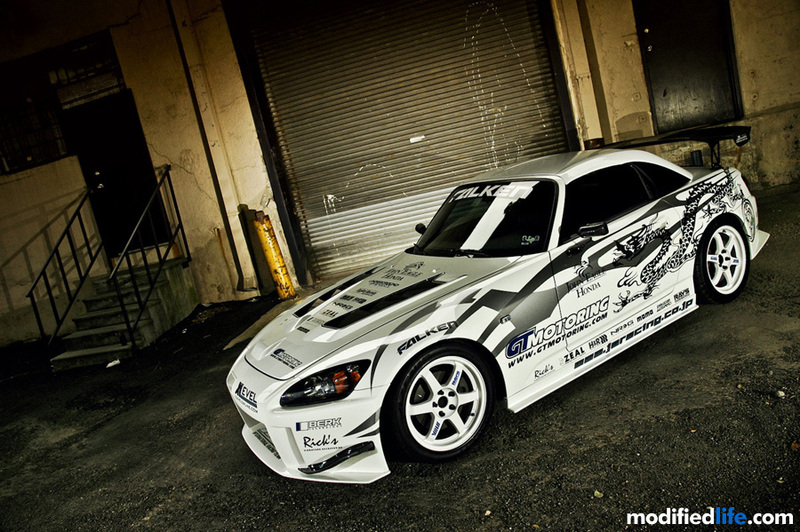 I have a S2000 thats built like the J’s Racing S2000 that tours the Time Attack races that I watch on DVD’s and online. There are still a few parts that we’re still waiting on but overall I am very pleased with the outcome. Modified Life: What do you believe sets your S2000 apart from other S2000’s and other platforms? John Nguyen: Being a long time member of the s2000 forums, I haven’t heard of or seen anyone build a S2000 like the J’s Racing car including vinyl. We spent alot of time researching photos to replicate the vinyl work while making it unique to my car. Modified Life: Would you classify your car as a show car, track car, drag car or daily driver? John Nguyen: The car was built for first for the track, second as a show car and third for leisure. Modified Life: Do you have any future plans for your car? John Nguyen: The car will be attending its first track days next month at Texas World Speedway and a few large car shows. After the car show season is over, my S2000 will be at the track as often as it can so I can learn the full capability of the car. Modified Life: Do you have any other projects or platforms in the works? John Nguyen: I don’t have any more projects after the S2000. I currently have a Honda Fit Sport as a daily and will keep it stock, I’m even keeping myself from putting on a bike rack! Modified Life: What words do you live by? John Nguyen: Do it once, do it right, do it well. Modified Life: We couldn’t have said it any better. Amazing car and great write up. Congrats on the feature! 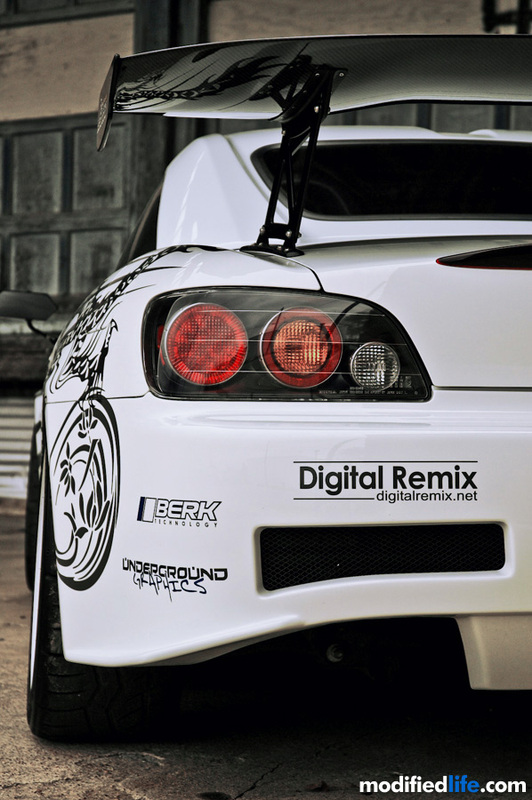 i’m not usually a fan of vinyl stickers everywhere but your s2000 looks tight. sweet ride man. i like the way you made all your modifications work together. good planning and well chosen parts really makes your honda s2000 stand out. good job bro. nice ride. love the carbon fiber engine bay parts. big ups to the feature!